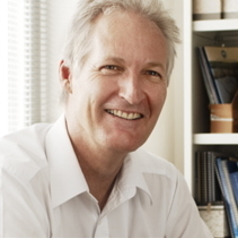 Professor Stuart White is Director of the Institute for Sustainable Futures at UTS where he leads a team of researchers who create change towards sustainable futures through independent, project-based research. With over thirty years experience in sustainability research, Professor White’s work focuses on achieving sustainability outcomes at least cost for a range of government, industry and community clients across Australia and internationally. Professor White has written and presented widely on sustainable futures and is a regular commentator on sustainability issues in the media.